Something unusual has occurred on the restaurant scene, as two esteemed French chefs are about to head into their new appointments as the front man of each other’s restaurants. 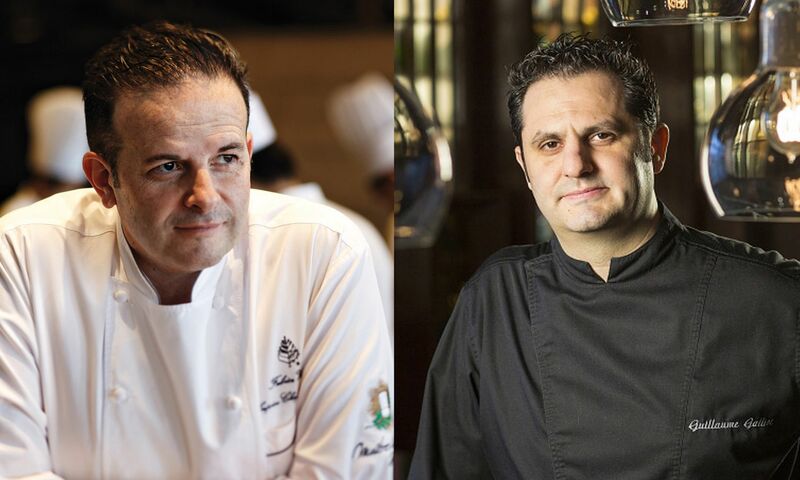 Guillaume Galliot, formerly at The Tasting Room by Galliot, has recently been appointed the new Caprice chef de cuisine, whereas Fabrice Vulin, formerly at the Four Seasons’ French restaurant, is now taking the helm of the kitchen brigade at The Tasting Room in Macau’s City of Dreams. The Tasting Room by Galliot opened in 2010, and has garnered raved reviews for its contemporary approach to French fine dining on the Cotai Strip. Born in the Loire Valley and earning his culinary training working under chefs Jacques and Laurent Pourcel of Jardin des Sens, chef Galliot mastered Mediterranean cooking and pastry training before becoming the youngest sous chef in history at Singapore’s Raffles Hotel at age 23. In 2010, Galliot moved to Macau to open The Tasting Room, all these years earning raves on his unique culinary vision and modern touches to French fine dining—and a spot on our annual Top 20 list ever since it opened. Chef Galliot tentatively starts his post as Caprice’s new chef de cuisine on April 24, and he will lead his team to revamp the menu soon after. Meanwhile, Fabrice Vulin, 2015’s best new chef, joined Caprice in 2014. Chef Vulin’s varied career took him to exclusive restaurants across the world, from Geneva’s Restaurant Hotel du Parc des Eaux-Vives to La Chevre d’Or in the south of France, chef Vulin’s ever-evolving style in classical French cuisine often delivers a contemporary surprise from texture to refreshing flavor combinations. Chef Vulin is set to head up the Tasting Room team as the restaurant reopens after renovation on April 28. Watch this space as we bring you the latest on the new changes at both Caprice and The Tasting Room.